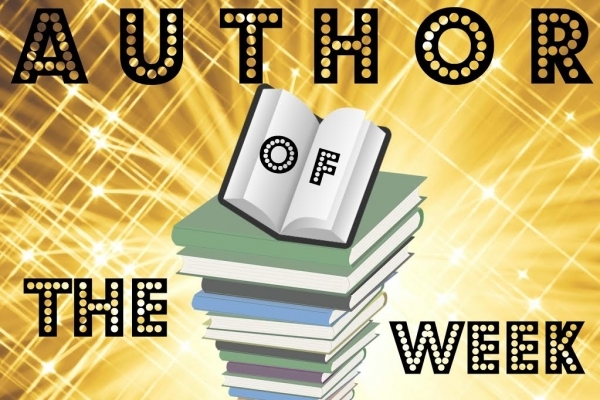 Introducing Crystal Smith, YABC's Author of the Week!! I think the character I’d most want to meet in real life is Kate (if sunshine became human, it would look like Kate.) but the character that was most fun to write was definitely Zan. Brooding and snarky with an artistic soul…my jam. I’ve been daydreaming about retelling the Goose Girl since my early teens, so definitely the novel. 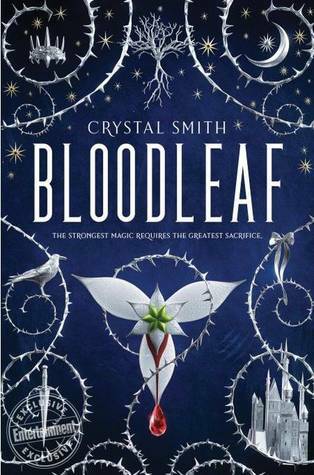 That said, it’s had the title of Bloodleaf for so long it feels like the book and the title are inextricably intertwined at this point. The poison vine called bloodleaf in the story became central to the plot because I liked the way it sounded as a title—but I liked the way it sounded as a title because the plant was becoming central to the plot. There are many scenes in Bloodleaf that I’m proud of, but there’s one scene that was added late in the game that has always felt pretty special to me—the scene where Aurelia and her little brother see each other in the library in Achleva. My agent had pointed out that there was a lot going on at that point, and Aurelia needed a moment to re-center herself, to get a tiny boost of hope. It’s a very simple, quiet scene, but I love it. Do not give up. That’s it. Just don’t quit. It took years and years and countless rejections, but that’s really the only secret I have to share—let the setbacks fuel you to do better, try harder, dig deeper. It was a long, arduous road, but I wouldn’t change it. I’m a much better writer now than if I’d succeeded on my first draft, or landed an agent with my first query. This is a hard question, because I love everything about my cover! But I have to say, the choice to go with blue surprised me a little (I had always envisioned it in red! Or green. Or black, maybe.) but it is so perfect! I could stare at that blue cover all day long. There are so many intriguing titles coming out this year, it’s nearly impossible to choose just one! BUT, if you backed me into a corner and threatened me with death I’d probably throw out Erin Craig’s House of Salt and Sorrows—I am a sucker for spooky retellings. Gothic 12 Dancing Princesses? SIGN ME UP. Right now I’m headed into another draft of Bloodleaf’s sequel! Middle books in a series are always hard, and I’ve never had to write on such stringent deadlines, but I’m loving where the sequel is heading, and I think there’s a lot coming in book 2 that will feel new and fresh and surprising, so I’m excited for that! Revising! Rewriting, actually. The first draft is always painful, but I love starting with a fresh page after I’ve written the book once. It’s freeing: I have a base file to refer back to if I get stuck, but I’m unrestricted by the words I’ve already laid down. It usually takes writing a book a couple of times before I get it right. 1 US winner will get: Signed hardcover, three character bookmarks, and exclusive enamel pin. Author Of The Week: Chat with Erin Summerill (Ever The Brave), Plus Giveaway!! Author Of The Week: Chat with Jodi Meadows (Before She Ignites), Plus Giveaway!! Poor Aurelia having to choose between a life of relentless, empty luxury and skullduggery and a life of freedom! The cover is cool. The synopsis is captivating. Sounds like an exciting and romantic read. What a beautiful cover! It really drew me in. I also love fairy tale retellings, so this should be a great story! I love the high contrast and the swirling thorns. Sounds like an exciting read! This cover is gorgeous! Can't wait to read it! Gods! The cover is so beautiful and the synopsys... I need this book! This is a really unique cover, I'm digging it! I love THIS cover!!! I can't wait to read this book! The cover is gorgeous and the story intrigues me. Can't wait to get to this one soon!